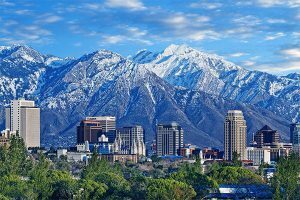 The Biomedical Engineering Division (BED) of the American Society for Engineering Education (ASEE) looks forward to seeing you at 2018 Annual Conference and Exposition in Salt Lake City, Utah, June 23-27, 2018. You can see a complete schedule of BED events at this link, including co-sponsored sessions. The workshop exposes engineering educators to the concept of disruptive technologies and how they can be used with engineering students to encourage entrepreneurially minded learning (EML). The first part will review principles of engineering education research design, focusing on the development of meaningful research questions and selecting appropriate research methods. In the second part of the workshop, participants will have the opportunity to develop their own research questions and a strategy for addressing them. The Division Mixer kicks off the conference with music, drinks, food, and colleagues. This event is both a networking opportunity and a chance for divisions to showcase and promote themselves to prospective members. Please come see us at the BED booth! The ASEE BME Division Social is an opportunity to interact with your BME colleagues in an informal atmosphere at a local restaurant. We also will present the winners of the Theo Pilkington Award, Biomedical Engineering Teaching Award, and Best Paper Award. We hope to see you there! These presentations describe new ways that faculty have incorporated hands-on activities in BME classes. This session will include a panel of speakers that represent various extra-curricular programs related to BME education. They will provide brief introductions to their programs. Then we will split into breakout groups for small group discussions about these programs. This is a great opportunity for participants to get ideas for extra-curricular programs to implement on their own campuses. We will discuss the content of the current and future annual meetings, elect officers, and discuss other matters of importance to the biomedical engineering community. This meeting is open to all BED members. New initiatives involving active learning and flipped lectures in BME courses. These papers describe initiatives which help to connect BME students to the “real world”. M534·2018 Interdivisional Town Hall Meeting: Who’s in the Driver’s Seat of Engineering Education?